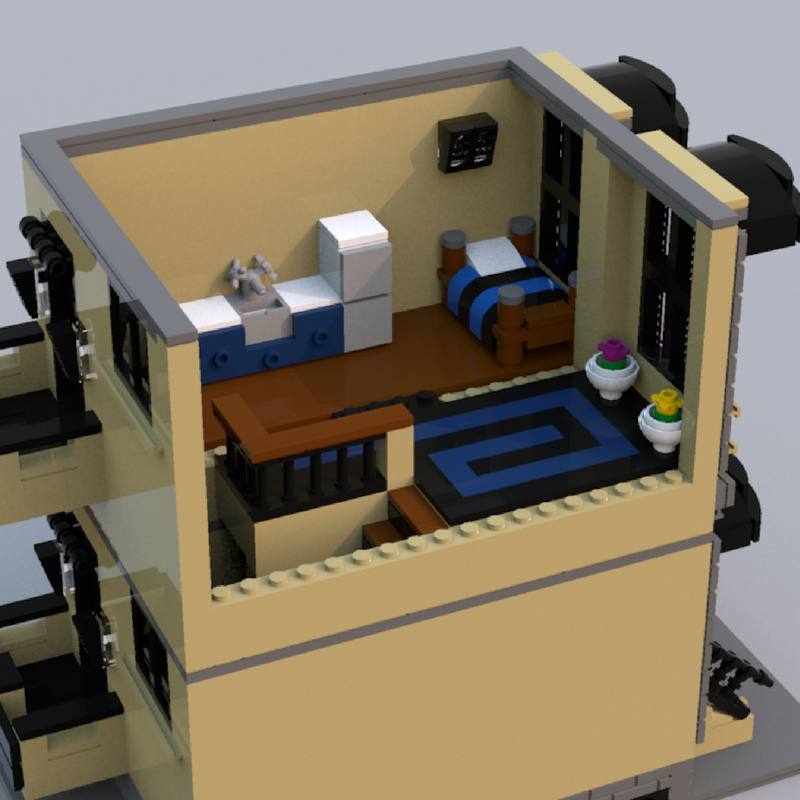 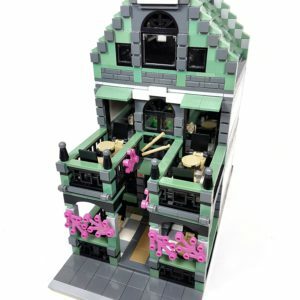 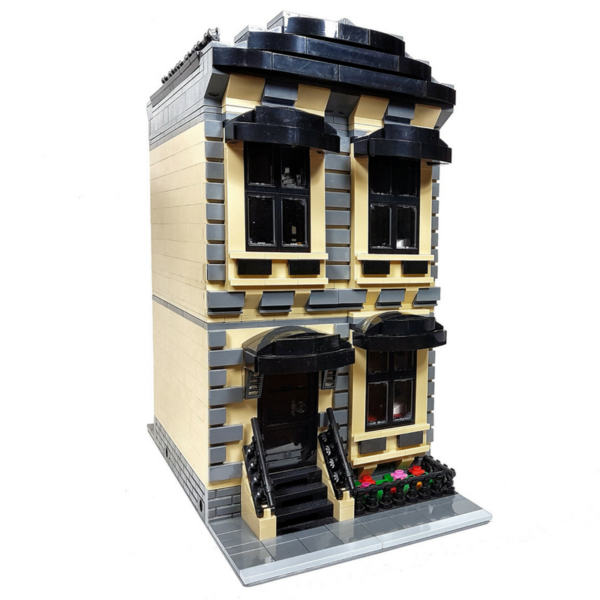 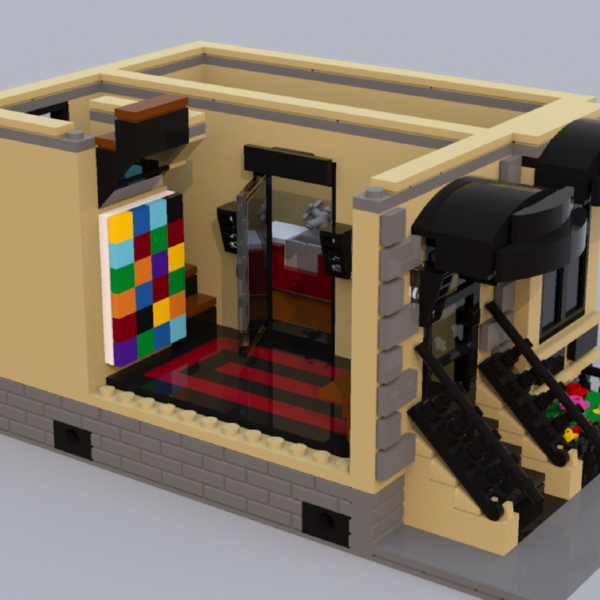 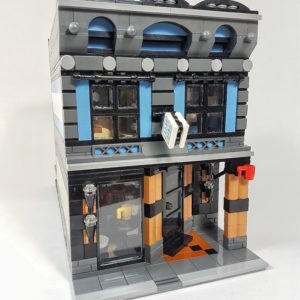 Simple, yet elegant, this modular-compatible apartment building will make an excellent addition to your city layout. 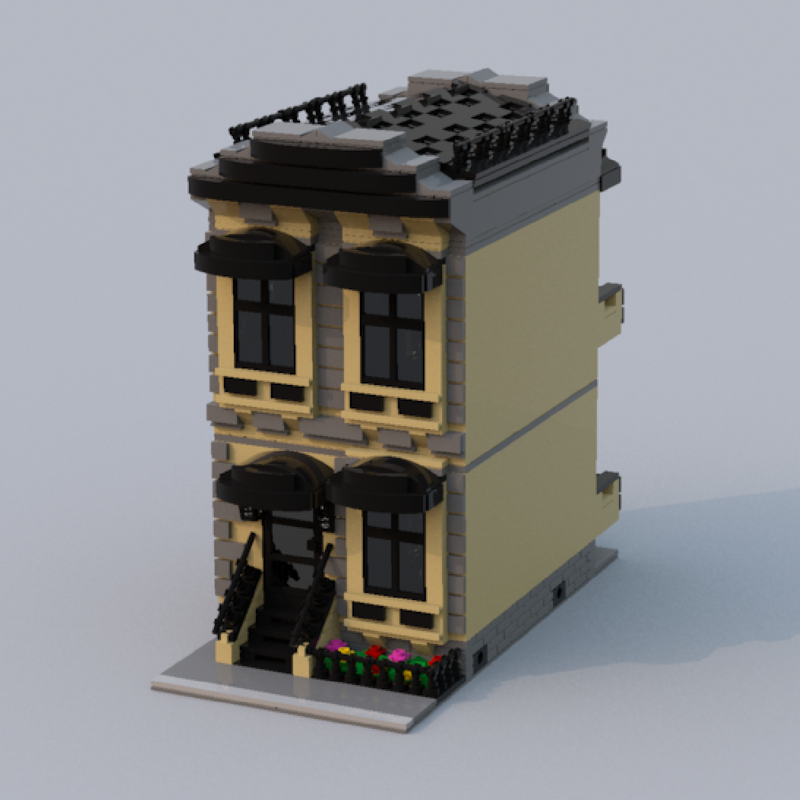 With two apartment units each including their own balcony, grand front windows, and a uniquely designed rooftop, it’s both fun to build, and looks very realistic. At over 25 studs tall, it stands above most other modular-compatible buildings. Due to the hinge-style design of the roof, the shingles extend slightly past the edge of the base-plate. 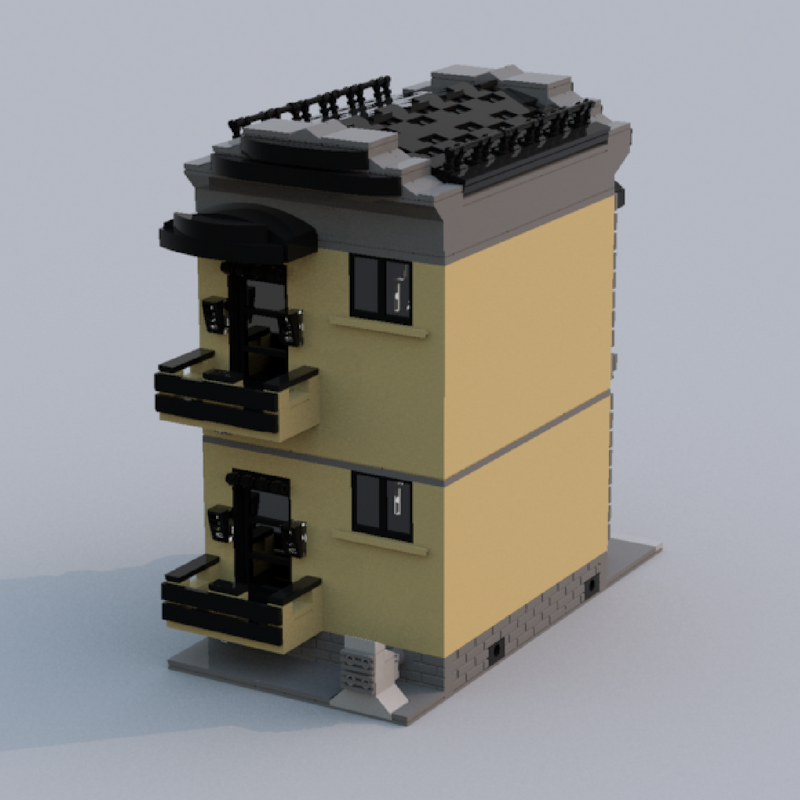 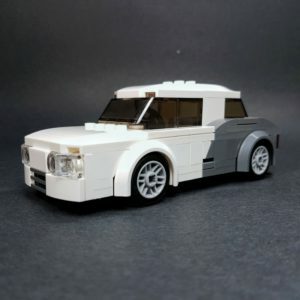 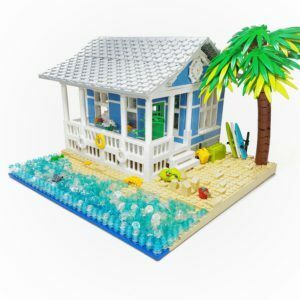 This means that this build cannot sit directly beside any modular-compatible building that is taller than 25 studs. However, this is quite tall for a modular building, so it shouldn’t be an issue in most cases.